N etherlands pace bowler Shane Snater has been named in a 13-man squad by Essex for their one-day clash with Hampshire. The 22 year-old has impressed at the English county on trial and took five wickets against Sussex in a second XI game last month. 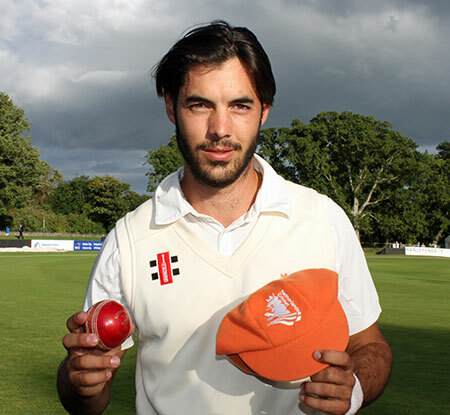 He made his Netherlands debut in 2016 and had a five-wicket haul against Ireland in their drawn InterContinental Cup game in Dublin last year. Fellow Dutch team mate Ryan ten Doeschate is skipper at Essex. Former Netherlands captain Peter Borren welcomed the news on Twitter saying "Shane Snater is an absolute champion. Doesn't stop running in hard, great energy through the crease, hits a dangerous length and always looks likely to get wickets. Great team man too. Best of luck Shane."